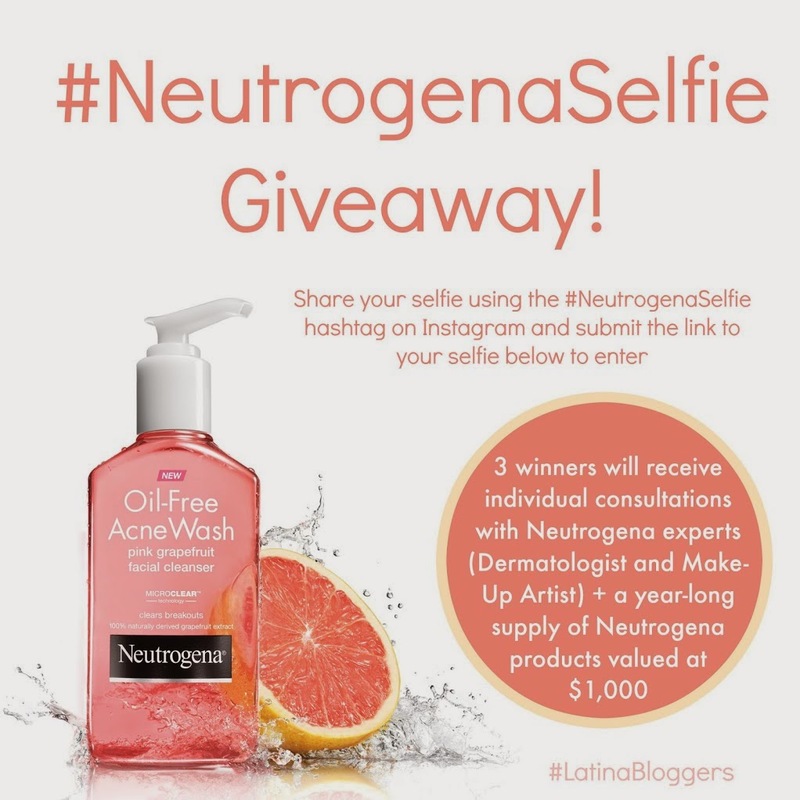 This is a compensated campaign in collaboration with NEUTROGENA® and Latina Bloggers Connect. All opinions are my own and not edited by third parties. Hey guys, on todays post I will share some tips and tricks when it comes to taking selfies and most importantly talk about self confidence as part of the #NeutrogenaSelfie campaign. Make sure that after you read my Tips and Tricks... Instagram your selfie with #NeutrogenaSelfie and add your link in the rafflecopter on the end of this post. TIP #1 Take care of your skin! I think healthy skin is a key role for an extra boost of self confidence. Its never to early or too late to establish a morning and night routine for clear beautiful skin. Too LAZY? I must confess I'M GUILTY! … before I wouldn't care about washing my face or even taking off my makeup before bed. SO BAD! Lucky me, I never suffered with acne or bad skin but whenever I would get any type of break out my confidence would drop and forget about me being in any photos or taking any selfies. What really helped me was keeping products in my shower to prevent any breakouts and stocking up with cleansing wipes to at least remove my makeup every night before bed. 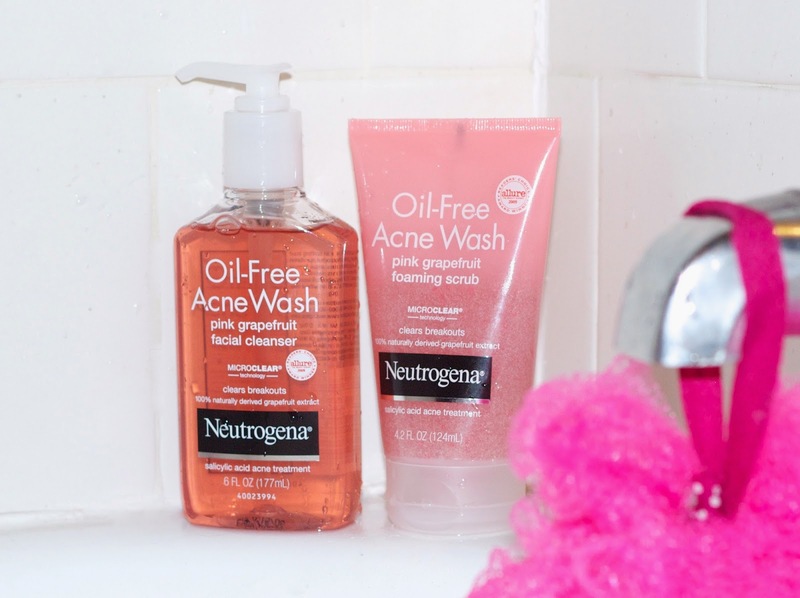 Ive been using the Oil-Free Acne Wash Pink Grape Fruit line (HERE) this month and I love the tingle sensation and clean smooth feel they leave. My favorites have to be the Oil-Free Cleansing Wipes. Whether you have bare skin or a full face of makeup, I think lighting plays a big role when it comes to taking good selfies. My favorite lighting places for taking selfies are either against a white wall, next to a window or the best of the best in the car… well wherever there is good lighting there is good selfies. I don't know about you but I used to think I only had one good side but with time I've noticed thats its all in the angles and poses you try... Kiss, smile or serious face I guarantee you will take one you really like from trying out different angles. Taking selfies should not be a stress causing activity that causes you to loose your confidence or even cause you to brake out thanks to all the STRESS! I say don't take it so seriously! Somedays you might not have a successful selfie day but that doesn't mean you are the worlds worst selfie taker or make you less attractive and even if it's a successful selfie day (when you like so many that you can't decide which one you like best), that doesn't mean life will end. TIP #5 Take more than ONE! You know what they say that for every good selfie there are about 47 failed ones haha ok maybe less but with time and confidence maybe you will just need 5 or 10. Just HAVE FUN and remember that your self confidence is the most important thing and no amount of selfies should change that. You look gorgeous as ever! I love how you started off your guide to the perfect selfie by taking into consideration the most important canvas of a selfie, the skin. The strong summer sun can do terrible things to one's skin, including wrinkles and dreaded sun spots, so our best defense would still have to be sunblock. I also love tip #4. I've seen some bad shots taken because people just stress too much about it. 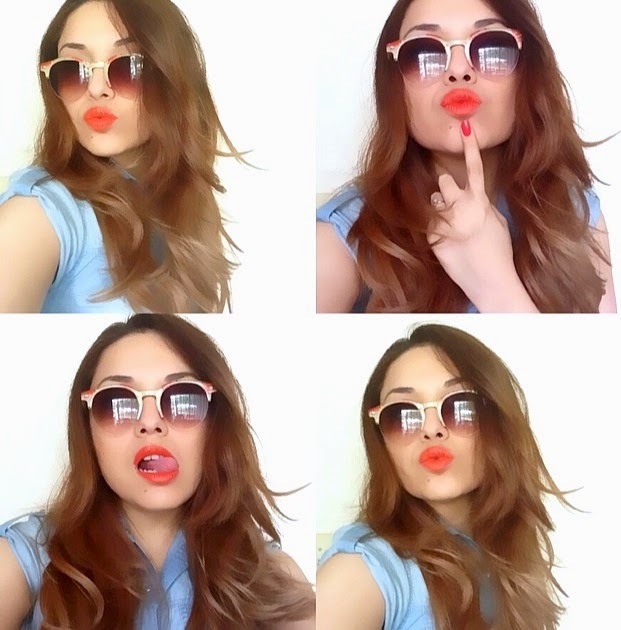 Selfies should be a fun and uplifting experience, so stress is a definite enemy. Thank you so much for sharing those lovely tips. Stay beautiful, Ashley!